As this year winds down and you find yourself goal-setting for 2018, is obtaining your MBA on the list? It should be. Yes, it is a big decision. Can I afford it? Can I afford not to? Do I have the time? Should I make the time? Is it worth the investment? An MBA from UC advances your career, it places specific emphasis on recognizing and adapting to change, problem solving, analyzing possible solutions and initiating proper guidelines to prevent recurrence. You’ll learn creative thinking and the importance of group interaction in problem-solving, and develop the ability to produce efficient and clear business writing, and to speak confidently and clearly in presentations. 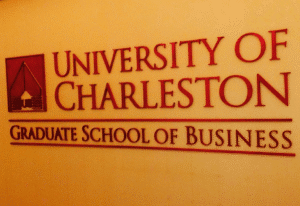 Along with all of the aforementioned, here are six (6) really good reasons to pursue that MBA from the University of Charleston. The eight core courses in the program are in eight week sessions and are in four credit hours each. Classes for Charleston-based hybrid cohorts typically meet for 4 hours on Tuesday evenings in Charleston, WV. Students in these hybrid courses will also participate in approximately three hours of on-line activities each week. Program is suitable for both working professionals and recent undergraduates from all majors. Study business in an international setting with a 10-day practicum abroad; recently visited countries include: China, Brazil, Ireland, Panama, Spain and Vietnam. This practicum is included in the program fee. The average salary for 2016 graduates of full-time programs was $126,919. On the opposite end of the spectrum, grads who went into the nonprofit sector earned an average of $81,776 a year. Graduates who earn the highest salaries attend the top-ranked schools, according to U.S. News data. Enhance your personal and professional growth from successful business leaders as they mentor, share and discuss their experiences with you during class lectures, field experiences, and networking opportunities. Studying in the MBA program at UC, forces you to get out of your comfort zone, deal with the latest issues in national and international business, apply the newest management techniques and constantly challenge yourself. It also teaches team work as each cohort conducts strategic analysis of a capstone organization, applying knowledge from all eight courses. The time is NOW. Call the UC MBA office at 304-720-6680 to learn more and start a new future in 2018. Classes begin in January.